No, and even if she did, that doesn't make her an "alchemist". She did not know how to make the Stone. But then again Canseliet had some rocambolesque notions about alchemy. And so do you. The goal of alchemy is the art of transmutaion of metals and the stone was only one way on how to accomplish it among many others. Definitions are quite useful. Unfortunately there are no sufficient official ones imo. Maybe we can agree on one for this forum. Lover of the art: One who is still at the "reading stage" and has not started the great work. Alchemist: One who started the great work. It needs to be discussed if therefore having obtained the secret solvent is necessary. Last edited by Florius Frammel; 03-12-2018 at 07:23 PM. No, I don't, I base my statements on what most alchemists themselves said and believed. Most alchemists vehemently denied transmutation except by means of the Stone, while some others accepted the "particular tinctures" as well, but all of them require the secret solvent for their preparation as well. Most alchemists scoffed and mocked anyone who tried to obtain transmutation by any other means and labelled them as "sophists", "puffers", "multipliers", "vulgar chymists", etc. And they were totally WRONG. There's quite a number of other processes which do not require the secret solvent or the Stone to achieve transmutation. So to summarize it: what distinguishes "alchemy" from "chymistry" is in fact the secret solvent. Alchemy revolves around it. Chymistry does not know how to prepare this solvent, but it discovered other methods to achieve transmutations, which were unknown or stubbornly denied by most alchemists. Do you mean necessary for the Great Work? Or necessary for being "worthy" of the title of "Alchemist"? Both. But as I said, I leave it open to discussion. This is going a bit off topic so we may need a new thread ? Logistical Note: Continued HERE ('Aspects of Alchemy' thread). Last edited by Andro; 03-14-2018 at 08:27 AM. Reason: Split thread & added logistical note. 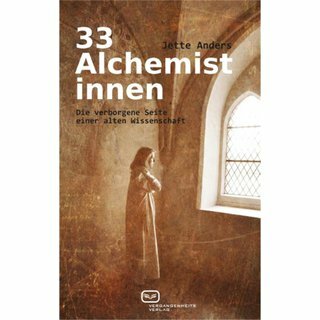 There were at least 33 female alchemists (including my dear Dorothea Juliana Wallich). Someone asked me about Wallich awhile ago, and I had nothing to say. And some research turned up very little information. There's a bunch of pseudonyms attached to her, aren't there? Der Philosophische Perl-Baum, das Gewachse der drey Principien, zu deutlicher Erklarung des Steins der Weisen, wie er mit seinen Wurtzeln in der aussern und finstern Welt, mit seiner Bllithe aber in der Paradiesischen-und Licht-Welt, und mit seiner reissen Frucht in der Englischen und Himmlischen Welt stehet und wachset. Beschrieben durch D.r.w. von Weimar aus Thuringen. Also had this saved from a translated German wikipedia entry: "Karl Christoph Schmieder assumed the possibility that she had only edited her father's manuscripts; but he also considered an authorship of her possible." Last edited by Greg Marcus; 02-11-2019 at 04:15 PM. It's quite a strange story. She was admired by non other than Georg Stahl. That guy was the biggest chemist of his time, known for his role in developing the infamous phlogiston theory. He had visited Wallich regularly, praised her knowledge and skill and even was the godfather of one of her sons. He said she could extract the phil. mercury out of every metal, but not out of Cobalt. For some reason that metal seems to be not suitable for the work. Following that link, there is also a short english summary made by Bacstrom I think. Her second book "phil. Perlbaum" was written in only two days, according to Stahl. It's pretty weird with a lot of repeating bible quotations. It's a big work and it seems like she must have written that book under the influence of cocaine or amphetamine (of course both wasn't known at that time in germany). There is another interesting figure from Stahl's surrounding called Johann Pott. Fulcanelli mentiones both Stahl and Pott quite some times in Dwellings. Another example for my suspicion, that those chymists knew more than they confessed in public. One could almost believe in a double conspiracy with some chymists being some kind of double agents. Last edited by Florius Frammel; 02-11-2019 at 07:02 PM.